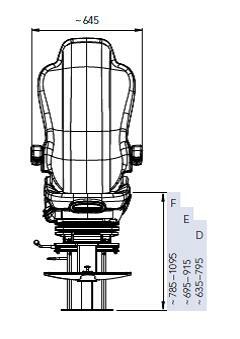 The high-class ergonomical, professional helmsman and operator seat offers the best possible air damping system ensuring high-performance even in heavy conditions. 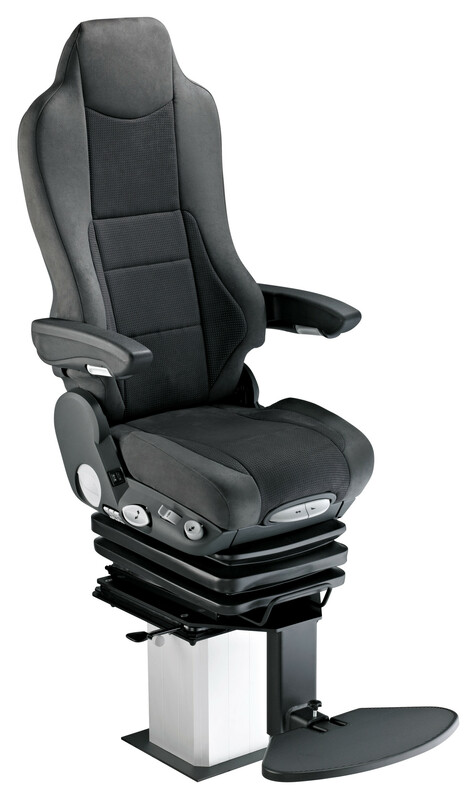 This seat corresponds to the highest standards of ergonomics, comfort and functionality. Also available as non-suspended helmchair. Large ships such as: Container, Tanker, MPC, Ro-Ro, Ferry also for smaller vessels, workboats and Navy.